More than an average backpack, Simply Deluxe Backpacks have the features you desire. two side water bottle pockets, grab handle, adjustable padded backpack straps. 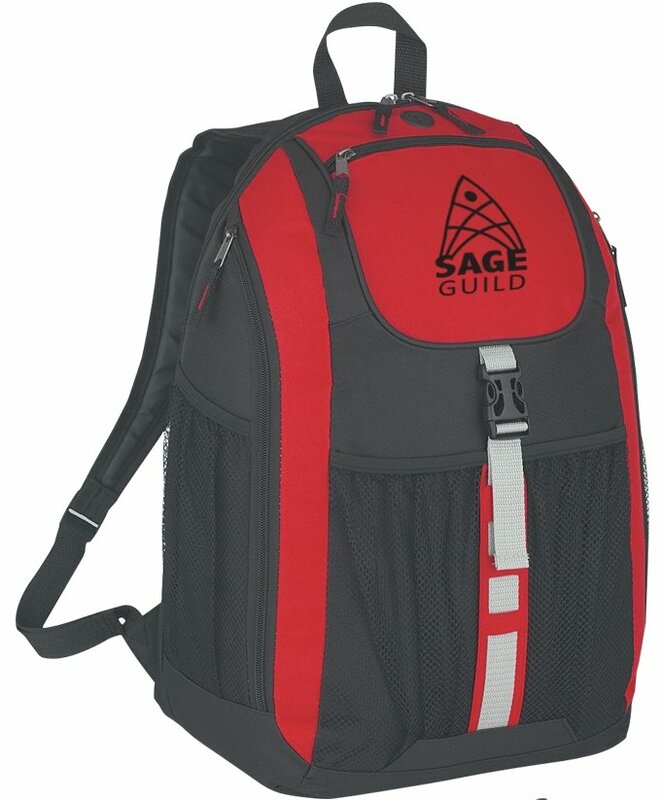 Overall size of the Deluxe Backpack is 12 1/2" wide x 19" high x 8" deep. Delivery from date of an order for Simply Deluxe Backpacks is 3 weeks. Price includes a one color imprint on the front area 5" w x 4" h.